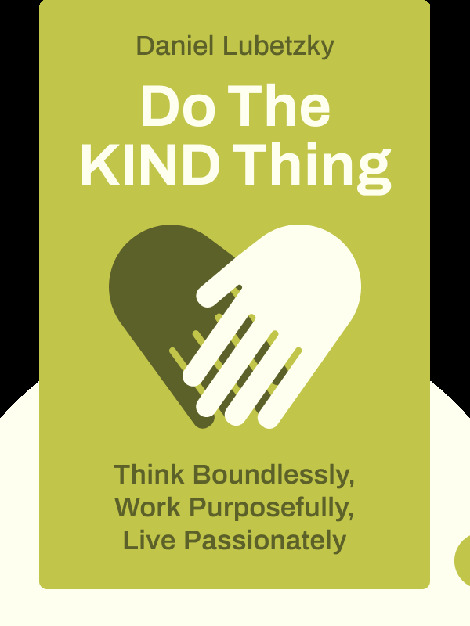 Do the KIND Thing (2015) passes along the valuable lessons the author learned while building his successful and ethical brand. These blinks guide you through the ten fundamental tenets of creating a business that benefits the individual and the world, and is prosperous too. Daniel Lubetzky is a social entrepreneur. He is the founder of PeaceWorks and KIND Healthy Snacks, and his work in business has been recognized by the World Economic Forum, BusinessWeek and TIME magazine.